The North of France is home to a range of activities and facilities. Bordered by Belgium and the Atlantic coastline, there is much to be explored here. There are striking mountain ranges, including the famous Mont Blanc, as well as pretty beaches, wooded areas, stunning views and romantic towns to be discovered. Visitors to Northern France can enjoy a selection of delicious regional cuisines, as well as a fantastic range of culture and history just waiting to be discovered. Summer France has chosen a selection of accommodation for customers, with the best of the area on offer. Cayeux sur Mer is a pretty seaside town home to around 400 colourful beach huts as well as stunning natural surroundings and opportunities to be as active or as relaxed as you like during your stay. The beach is lined by a boardwalk that's assumed to be the longest in Europe, and there are even seals to keep an eye out for. Alternatively, Valijoy is located directly next to the border with Belgium, within a park that offers freshwater lakes, outdoor and indoor pools, a golf course, a spa, and stunning natural landscapes just waiting to be explored with the range of activities offered at this holiday park. Whether you want to get to make like the locals or simply explore stunning natural surroundings, Northern France offers a fantastic range of options for visitors. Here you can enjoy hiking all year round, cycling and horse riding trails. Meander around the woods and luscious green hills surrounding Valjoly, take a picnic and head out for the day or take part in the many water sports on offer here. Sailing and windsurfing are on offer, as well as canoeing and more. Whether you're a seasoned professional or just learning the ropes, there are boats and activities available for everyone. Gorgeous French beaches are lapped by the waters of the English Channel, and peaceful, secret beaches are often just waiting to be discovered. Northern France holidays provide the perfect mix of exploring towns and villages, with their markets and restaurants, and high octane water sports and walks. The sand banks and dunes are home to a unique selection of flora and fauna, as well as migratory birds and butterflies basking in the warm sunshine of the balmy French summers. History and culture lovers will find some incredible architecture, churches and chapels in this region of France, with pretty towns ideal for simply wandering, before ducking into one of the traditional cafés, shops or restaurants. Treat yourself to a citron pressè or a local beer with delicious croque monsieur while watching the world go by from one of the cafés. Close to the border with Belgium, as well as Calais, the area was hard hit during the First World War, meaning there are historical events and detailed museums to discover here, offering an insight into the fascinating and terrifying history of Europe. Northern France is well known for its dairy farms, and the rich cheeses are not to be missed. The lush green surroundings and stunning mountains mean there is plenty of space for cows, goats and sheep to graze, adding a creamy quality to their milk. The soft maroilles and camembert cheeses are made in Northern France and are a must for visitors to try, perfectly accompanied with a hunk of baguette and a refreshing glass of the locally produced cider, using fresh local apples from the many orchards of the area. The area of Northern France offers visitors a fantastic choice of seafood and fish dishes, with locally picked oysters and fresh fish, while rich beef stews are a speciality in Northern France. The luscious green surroundings of the area also mean there are plenty of locally produced fruit and vegetables to pick up at local markets. Northern France is a diverse region with plenty to offer its visitors. Here guests will find gorgeous landscapes, pretty villages and seaside towns with soft sandy beaches and a diverse range of flora and fauna. 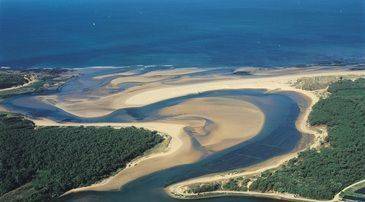 Summer France has carefully selected a range of accommodation to reflect the diversity of the region, offering guests a choice of seaside or action adventure during their trip. Cayeux Sur Mer is located on the beach and provides guests with a fantastic range of activities along the English Channel. There are pretty beach huts and some fantastic cuisine to explore, as well as golf courses and hiking, cycling and horse riding trails where guests can explore the beautiful local area. Here visitors will find the Résidence Les Terrasses de la Plage. Enjoy the swimming pool as you take in the scenic surroundings during your stay, have a day off while the little ones spend time in the children's area, or wander through the town soaking up the atmosphere. For a stunning backdrop, delicious local cuisine and activities galore, choose the town of Valjoly and its gorgeous lake and lakeside area for your holiday in Northern France. Here guests can be at one with nature, in eco-friendly wooden cottages set on the edge of the lake and blending in with the natural surroundings. 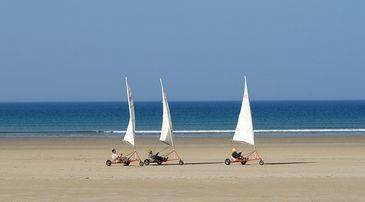 Guests of Les Cottages de Valjoly can enjoy a more active holiday as they soak in the warm rays of the French sunshine, with water sports on offer, as well as lots of activities in the local rural area. For the best accommodation in Northern France book today with Summer France friendly and helpful staff.